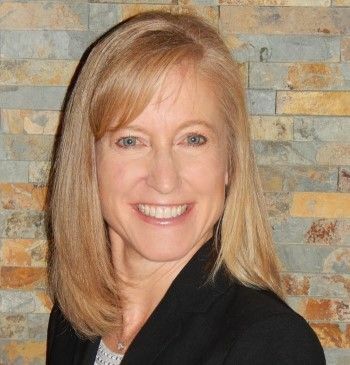 Susan Benzel, Hewlett Packard Labs’ Program Manager for the Machine, has won Hewlett Packard Enterprise’s 2018 Women's Excellence Award. One of 10 women at HPE to recognized with the award, Benzel is described by her supervisor, HPE Senior Program Manager Katy Evertson, as tireless in her contributions not only to her day job, but also to being part of the Fort Collins Leadership Core team as well as her many contributions to the local Fort Collins community. According to Evertson, one of Benzel’s talents is her ability to actually get to a big goal, by breaking it down into actionable steps her team can execute. “She will do everything within her abilities to move teams towards a goal.” She has been moving them in that direction for three decades now at HPE. We talked to Benzel about what the award means to the women of HPE, to her personally, and to engineering at large. At a high-tech company, where a large portion of the population is made up of engineers and thus men, my hope is that the Women’s Excellence Award (WEA) is not only a way to recognize outstanding women, but more importantly, to make people more cognizant of the issues around gender in high tech careers – and gender bias in any area, for that matter. I believe that not only the women at HPE, but everyone at HPE, will benefit from all of us participating in a dialog about how to make HPE a great place to work, and how to treat everyone equally and respectfully. Acknowledging our gender difference may only be the tip of the iceberg, but hopefully it opens our minds and helps us all think about how to create a more inclusive, respectful environment. It is, of course, wonderful to be recognized for your work. Receiving the WEA is very humbling; I really appreciate all the opportunities HPE has given me so I could even be considered for this award, and I know many of the wonderful women (and men) I get to work with deserve this award just as much as I do. I am a first-generation college graduate, so just graduating with a degree in electrical engineering was a huge deal for me. All of the incredible opportunities I have gotten during my 30 year career at HP/HPE are truly unbelievable! As the mother of both a daughter and a son, I have always been passionate about encouraging everyone, regardless of gender, to pursue their passion. At some point, I must recognize that regardless of my desire to interact with and encourage everyone equally, females are still at a disadvantage and under-represented in many fields, and especially in STEM fields. So I do believe we need to work hard to encourage and support females as they consider engineering and all science-related careers. I found a report based on the 2014-2015 school year, which showed only 12.5 percent of all electrical engineering bachelor’s degrees are awarded to females. Thirty years ago, electrical engineering degrees going to females was somewhere in the 7-9 percent range, so we have not made much progress. A few years ago, I heard one of the main reasons females do not pursue engineering is because they want to go into a career where they can help people. I never want to dissuade a person from going into a career that helps people, however I do want to make sure that everyone (and females in particular) understands that engineering careers do help people – now more than ever! Look at the first customer we had on The Machine. DZNE does genomics research, and we have helped them get a 101x speed improvement in their overall data analytics pipeline. This is a great example, and one of many, of how technology and engineering can help people. I am passionate about encouraging women to pursue engineering careers, and about supporting women in general, and I think it is key that we do this without disparaging males. I will always encourage everyone to pursue their passions, and until we have a level playing field, I will continue to put a particular focus on the encouragement and support of females. Benzel’s 30-year HPE anniversary is May, 31. She and her husband started work on the same day in 1988.